For some homeowners, lawn care maintenance in Plano can be a fun while for some others; it can be both a chore and a bore. If you belong to the latter group, then you need help with reducing the time spent on caring for your lawn – the less time spent, the more time you have for your preferred activities. In this post, we have discussed the 9 best tips to help you spend less time on your lawn maintenance in Plano. By far, this is the number one tip to consider spending less time doing lawn care maintenance. It’s always better to get professional help to take care of your lawn while freeing up time for you to get involved in your preferred activities. 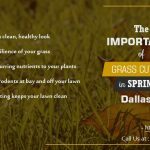 If you happen to be a busy Plano lawn owner, using a lawn service in Plano, Texas will not only save you some precious hours, it will also reduce your stress. In the end, it is all about checking your budget against your time to reach a compromise on how to save yourself some hours. Hiring a full-time lawn care Plano is a challenge; consider using them for only the most time-consuming lawn maintenance activities. This is a fitting solution for homeowners who might have a tight budget for lawn care maintenance. 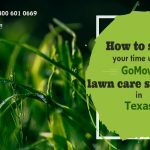 Using GoMow Lawn Service, Plano will save you a lot of bucks and time leaving you free to get busy with other activities in your life. Yes, this is highly possible as an option to reduce lawn care time. Spending less time on your lawn maintenance could simply mean getting more hands on deck to help out. Your kids and other family members might come in to help with your lawn care routine. At this point, you will find out that the time spent on lawn maintenance will shorten drastically. Maybe you simply have too much greenery to take care of in your yard which means you would have to spend more time than you would like to. One way to spend less time doing lawn maintenance every other week is to reduce the vegetation on your lawn. Less lawn and garden to take care of means you have more time to yourself. If you are just starting out on this, there are several landscaping services that can be of good service. Consider converting some parts of your lawn to create pavements and walkways etc. Check what works best for you then get started on it. Some species of grass are quite expensive to maintain and as such, they require more time to maintain them. If you wish to spend less time on your lawn care routine, choosing a resilient, self-sufficient grass type will go a long way to save you time. If you need guidance on how best to do this, talk to any good lawn care services. It is very easy to lose track of what is really important in lawn care maintenance thereby spending time on irrelevant activities. One of the most efficient ways to save time while working on your lawn is to actually have a lawn care schedule. Your schedule should be clear on the necessary activities needed to keep your lawn in good shape. Every other activity can be seen as negligible as you focus on the core ones. Do you want to spend less time on lawn maintenance activities? 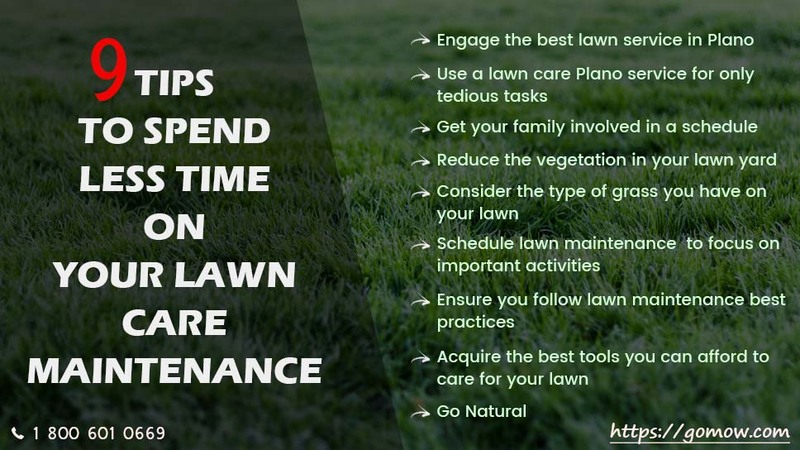 Consider following lawn care and maintenance best practices. Mow right, water right, feed right etc. Hiring a professional lawn maintenance services Texas will increase your chances of doing things right while ensuring you spend less time on your lawn care. 8.) Acquire the best tools you can afford to care for your lawn. Usually, the more expensive an equipment is, the more effective it is when in use. Cheap lawn care tools will often give you less-appealing results, causing you to spend more time, effort and even resources in the long run. To save time, get the right equipment that has been proven to be effective in delivering lawn care and maintenance with relative ease to save yourself some precious time. You can also decide to allow your lawn yard become a bit wild as you spend less time on lawn care and maintenance. Mother Nature will always find a way to keep things in balance with some help from us. If the rigor of regular lawn care and maintenance is a problem, you might take this route by allowing your lawn yard run wild. An occasional visit from a GoMow lawn care service in Plano once or twice a month might be all your lawn needs. Do you need to spend very little time on your lawn yard? Consider using our Plano lawn care service today! 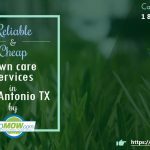 Contact us at GoMow Lawn Mowing Service in texas for the most affordable rates. Click below to get quick FREE QUOTE for your lawn care maintenance.